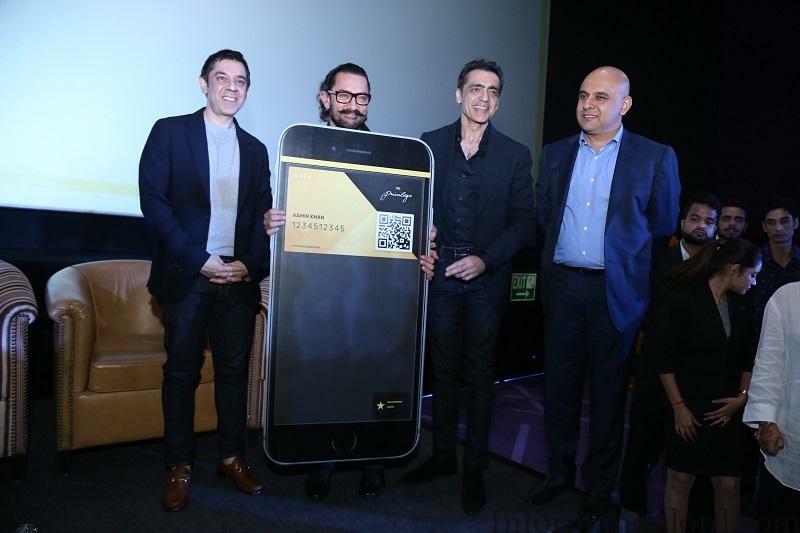 A stalwart brand into entertainment, PVR Cinemas have launched their state of the art digital program in the recent past at PVR Director’s Cut, Ambience Mall, Vasant Kunj in the midst of Aamir Khan, Zaira Wasim, and Ajay Bijli. Reinventing the viewer’s movie watching experience, PVR Privilege has been identified to be a first of its kind, a digital service launched by PVR, which is expected to take the industry by horns! Empowered with improved technology intervention, PVR Privilege is dominated through machine learning algorithm which is presented in front of the audience through an ‘Analytics Engine’, respectively. Digitization services are covered all across their market and rewards and incentives are uniform for all the properties showcasing the brand. The digitization program would be their major USP (Unique selling Proposition) leading to a revamp in the sales figures. In order to motivate the stakeholders in the process the PVR brand had announced several advantages related towards installation of the service. These include a few of the following. A natural conversion of reward points are ensured so that vouchers can be used for purchasing tickets. The digitisation program ensures exclusive offers which are absolutely tailor-made for the customers. At the same time, such services include bonus points which can be redeemed at the will of the customer. The digitisation program is designed to be operated universally which would work to create seamless connections. Customer details are required to be registered in order to get the program function. A minimal payment of Rs 300 needs to be made in order to activate the program. Vouchers related to food and beverages will be sent to the customer mobile phones immediately for the same amount after registration. Therefore, the membership comes totally free, in the real sense of implementation. Virtual cards which are endorsement cards are posted to the customer’s mobile phones immediately after receipt of the registration fee. Customers can be curious to know on how to use the digital package. Let us make it clear that the services can be accessed through your computer or android phones on the spot. An easy redemption approach is taken in order to make their services convenient to customers. The event for launching their digital brand was ornamented through the gracious presence of celebrities like “Aamir Khan” who endorsed the brand. The event was covered by a majority of the business channels. Keep in writing, great job!